You don’t have to be going back to school to take advantage of the savings offered by many states’ tax-free holidays. Six states are waving taxes, not just on school supplies and clothing but for computer purchases as well--from August 5 to August 7. If you’ve been holding off on that new laptop, this weekend may be an ideal time to buy. Taxes on expensive items like computers can be significant. In Tennessee, where sales tax rates are highest at 9.35%, you’ll have to pony up $140.25 for taxes on a $1,500 computer purchase--unless you buy the computer between now and August 7. Alabama: Up to $750 per computer purchase. In addition to computer systems, this can also include software, printers, and other computer supplies, as long as they’re not typically used for recreation (e.g., that gaming wheel might not pass). Missouri: Up to $3,500 per computer purchase--computer system or peripherals--and up to $350 for computer software. New Mexico: Up to $1,000 per computer purchase and $500 for computer-related hardware. North Carolina: Up to $3,500 per computer purchase and computer supplies of $250 or less. South Carolina: Does not appear to have any maximum purchase amount limit. Taxes waved on computers, printers, and printer supplies, and computer software. Tennessee: Up to $1,500 on computers. Does not include software, storage media, printers or printer supplies, or computer peripherals if not sold as part of the system. 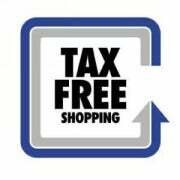 Depending on the state, online merchants who are required to collect sales taxes for those states may also have to comply with the tax-free holiday and wave taxes for this period. So, whether you buy online or at the retail store, consider yourself lucky if you’re a resident of one of the states above. If your state is not on the list, you’re out of luck.